Get the latest deals from the UK’s leading bookmakers with Latest Betting Sites. Just click the ‘Claim Bonus’ buttons below to activate these great offers from our partners. Free bet up to £40 - Valid only for accounts tracked from an eligible referring site. Qualifying bet is a losing first settled real money single bet of at least £/€10 at min. odds of EVS or greater or multiple where each line is at odds of 2/5 or more. Only losing win single part of E/W bets will qualify. Credited within 24 hours of bet settlement. Validity of 14 days. Free bet stake not included in returns. Mobile only, min £10 / €10 stake, win only, min odds 1/2, free bets paid as 4 x £10 / €10 (30 day expiry), Free bet terms, payment method & country restrictions apply. Free bet stakes not returned as settlement if successful. Min Deposit: £/€10. 1 x wagering at odds of 1.75+ to unlock Free Bet. Bet £10+ at odds 1.50+, get 2 x £15 free bets, 7 day expiry. New customers only. 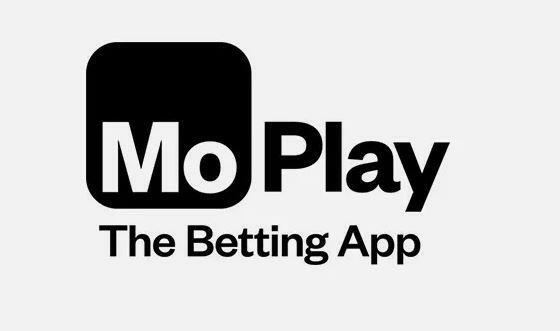 Deposit £10 min and claim in ‘my offers’ 1x100% mobile in-play profit boost. Max stake £10. Max extra winnings £100. Valid for 30 days. Skrill/Neteller deposits do not qualify. New customers only, place a £10 bet on any Sportsbook market - min stake £10 at odds of at least 1.5 (1/2) — and we’ll give you £30 in free bets. Latest Betting Sites is your guide to all the best and newest bookmakers available to UK customers. We also specialise in specific sports markets, giving our customers unrivalled insight on the best bookmakers for their chosen sport. Every bookmaker featured on our site is given an in-depth review by one of our experts, with their odds, markets, sports and bonus and welcome offers scrutinised, along with a look at the site itself, with a pros and cons list giving you an unbiased review of the bookmaker. You can access our reviews by clicking the link in our comparison tables. Advertiser Disclosure: Our rating tables are presented to give customers the best offers and present the latest brands. We do receive monetary compensation from the brands advertised. Odds, markets and special features are important, but sometimes all you are looking for is a great offer to maximise your potential profits. We make sure our readers never miss an offer, whether it is from an establish bookmaker or a new betting site. The UK Gambling Commission ensures that bookmakers act fairly and openly and adhere to a strict set of laws, meaning your money is safe with them and winnings will be paid out. Are you a sports fanatic in need of a bookmaker that is tailored to your needs? Check out our sportsbook comparison pages to find the best bookie for each sport.